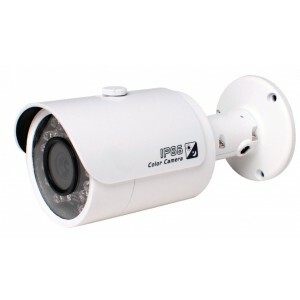 Please select a DVR according to the number of maximum cameras you will be recording. All DVRs from the selection below feature Real Time Recording at 1080P and 720P resolutions, and offer simultaneous HDMI/VGA video outputs. 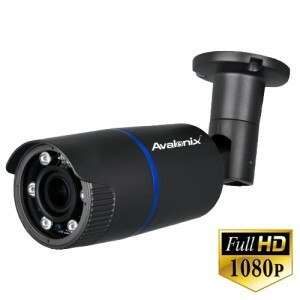 Build your own 1080P high definition security camera system using this system configuration page. Simply select from the dvr and camera options above. 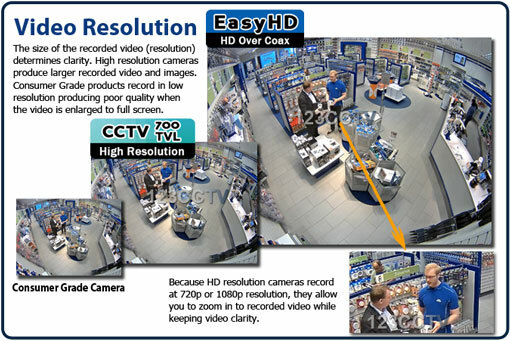 The CCTV DVRs featured on this page allow recording of 1080P (1920x1080 pixels) and 720P (1280x720 pixels) video in Real Time H.264 from an EasyHD camera. This means you can combine both 1080P and 720P cameras on the same system. 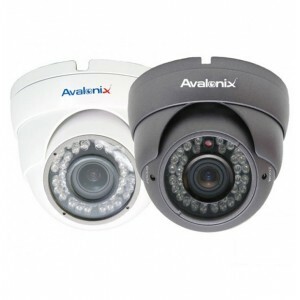 For areas where you need more resolution, we recommend the use of 2 megapixel/1080P cameras. 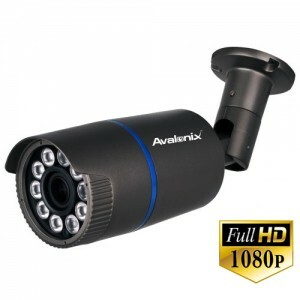 All the camera options offer night vision in complete darkness. 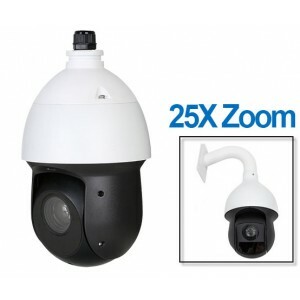 You also have the choice of purchasing cameras with manual variable zoom lens that lets you see facial detail as far as 100ft away, or motorized Pan Tilt and Zoom Cameras which you can control from the DVR or from your smartphone, tablet, or computer.